Never underestimate the power of mother nature. That was one of many lessons WTOP listeners said they learned from hearing the incredible story of reporter Dave Dildine rescuing a woman from drowning in Rock Creek Park. Here's what to do if you get stuck. WASHINGTON — Never underestimate the power of mother nature. That was one of many lessons WTOP listeners said they learned from hearing the incredible story of reporter Dave Dildine rescuing a woman from drowning in Rock Creek Park. Tell someone where you’re going, be aware of your surroundings and if something goes wrong, stay calm, said first responders who answered some of the questions of what to do in a life or death situation. 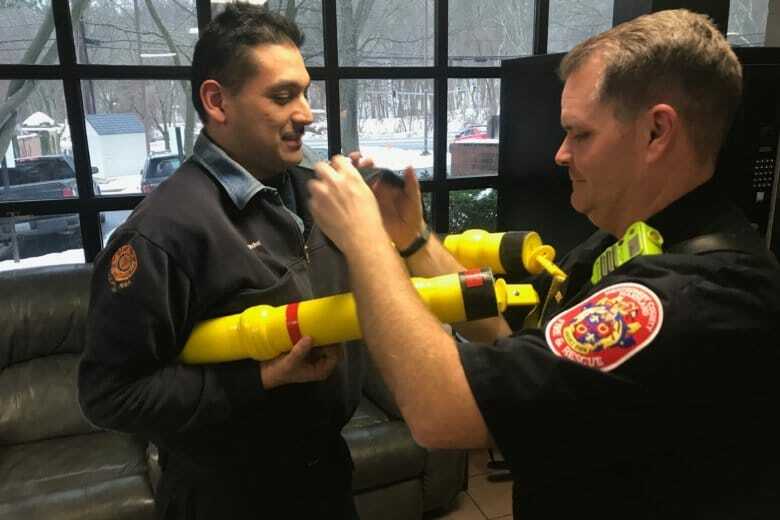 “Right when you fall in, the cold shock is that your breathing rate is going to increase, your heart rate is going to increase and your blood pressure is going to increase, so slowing their breathing down in the first thing they need to do,” said leader of Montgomery County Fire and EMS water rescue team Capt. Eddie Russell. If you fall in freezing water, grab hold of the ice around you, or any floating objects nearby. “After a minute and they’ve got a hold of their breathing, that’s their opportunity to get out,” Russell said. Eventually, the body will start shunting blood toward its core to protect the heart and vital organs, so a person in freezing water will rapidly lose motor skills, like the ability to grip, and after three minutes, will begin to lose control of their legs and arms. Call out for help. Don’t flail or splash around, which Russell said will likely create a bigger hole in the ice and expend needed energy. “You need to get your feet to the surface and try to kick your way out of that hole to the surface. Then once on the icecap, keep slithering and kicking your feet til you’re away from it. If you could, roll out of it toward the area you walked in from because that held you. So that’s the best area to head back toward,” Russell said.